This hand-made wallcovering from Schumacher’s Nest collection is a majestic dance of blue, teal and green feathers. 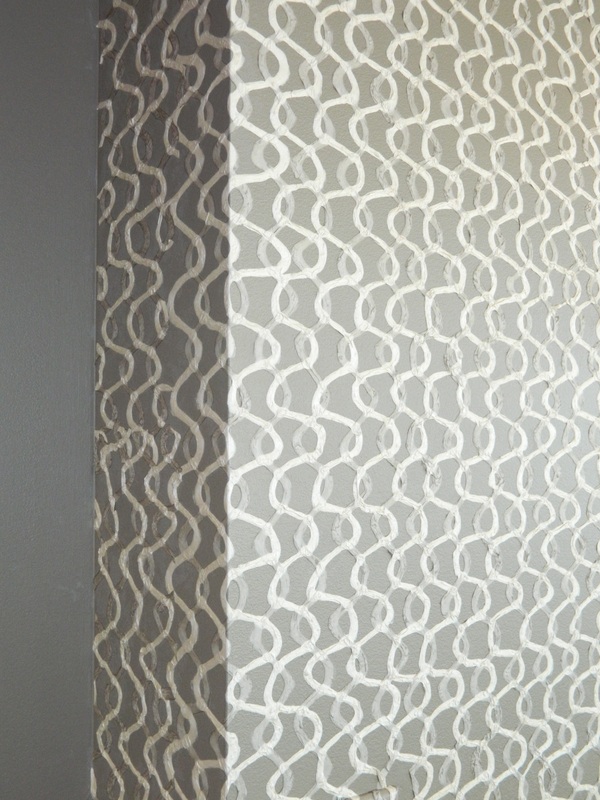 The Montage Collection by Pindler & Pindler is a sophisticated color palette for a modern lifestyle. Bring your eyes down to the floor – this colored & polished concrete is a great solution for a casual eating nook. 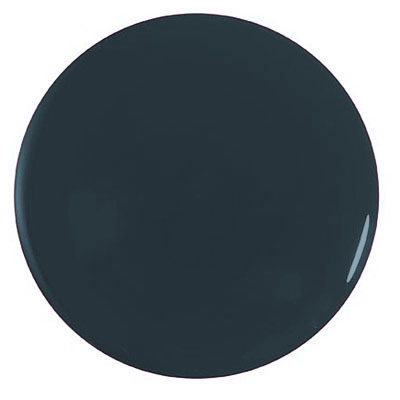 This warm-hued blue brings a breath of fresh air and cheerfulness to the room below. Painting the accent wall and ceiling with this neutral gray, bridges the warm tone of the brown and the cool tone of the blue. 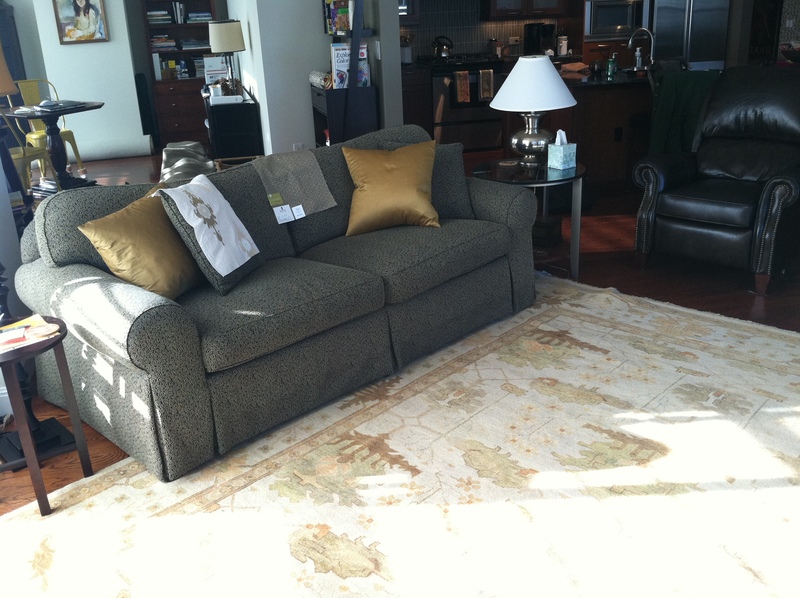 These sofas bring an understated elegance to the room with a hint of color and abundance of soft luxury. Enveloping this room in pale lavender channels calmness for this sun-drenched reading room. The two Kravet Couture fabrics below would make a bold statement in any room as luxurious pillows or lavish window treatments. An unexpected use of color on an unexpected surface – the ceiling! 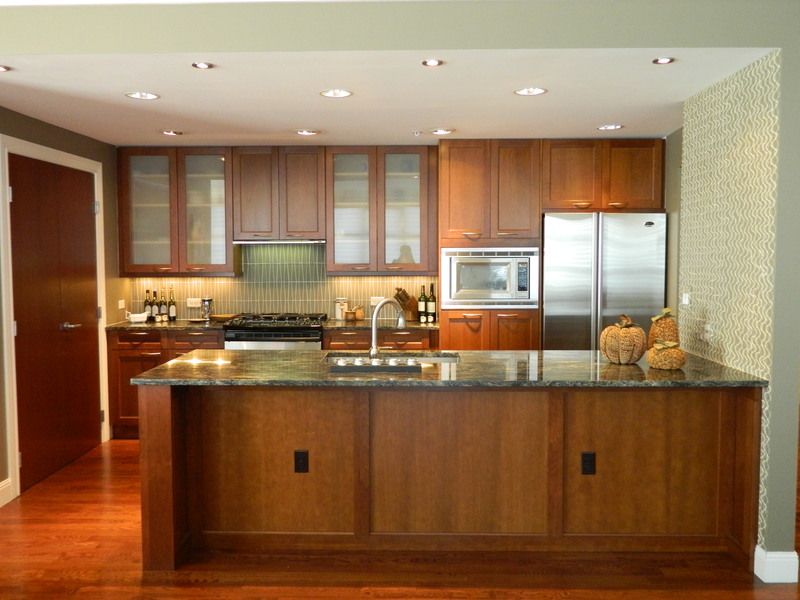 What a dramatic effect for this casual space. 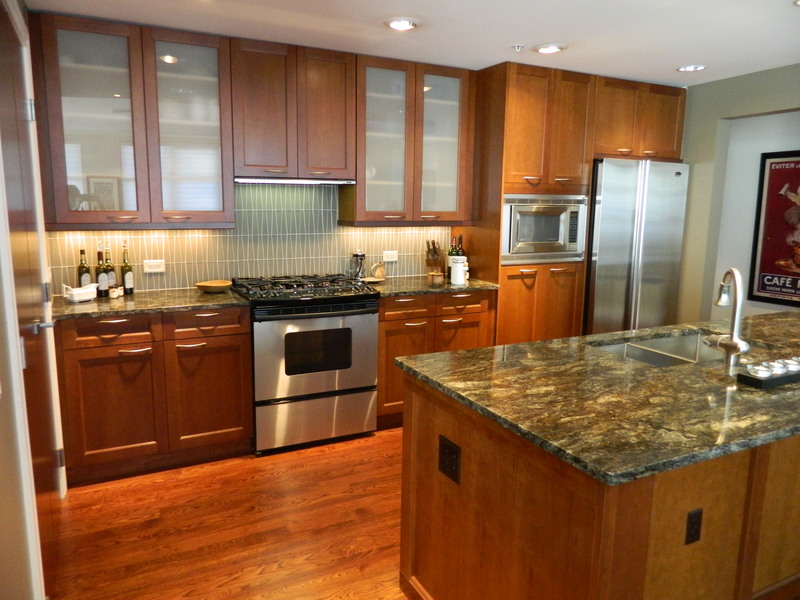 Play up high ceilings and interesting architectural features with a bold use of color! Avoid having a boring, neutral room by layering various shades of Tumeric using paint, fabrics, finishes, and accessories. 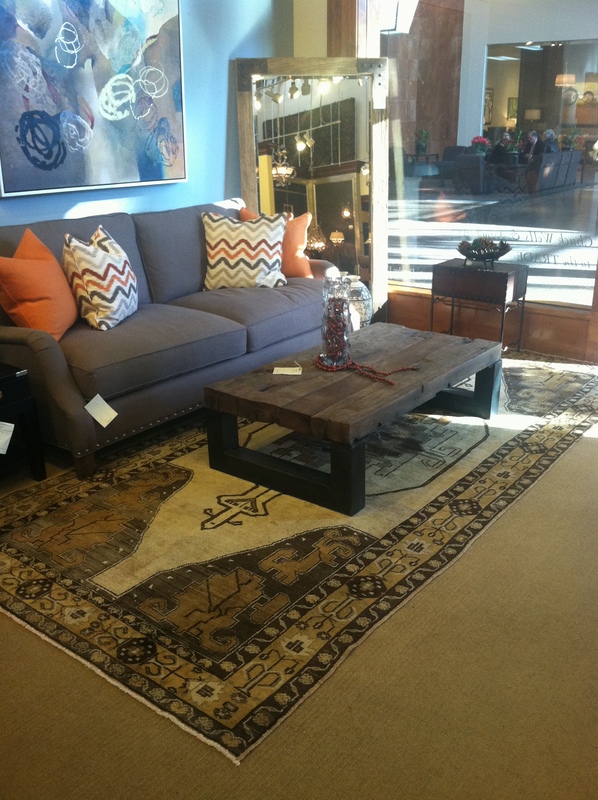 Rugs: Art for Your Floors! 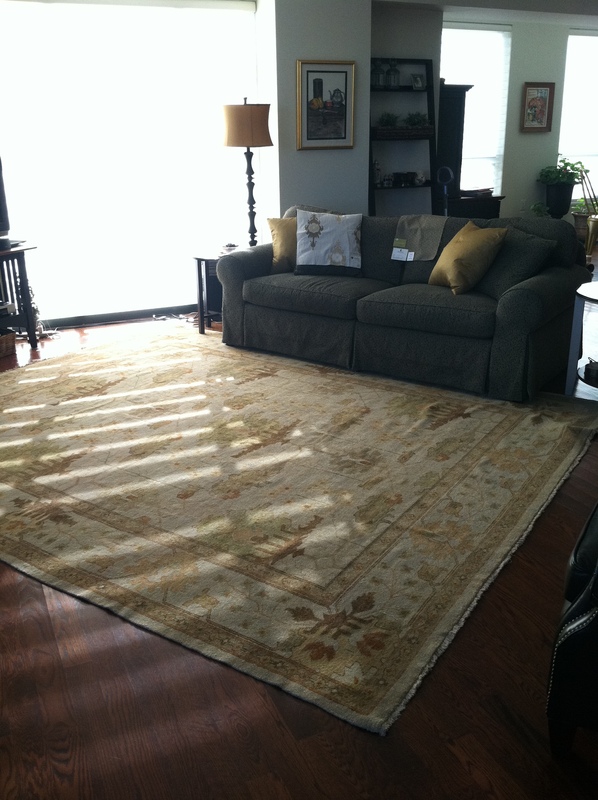 When updating a room or rooms in your home, a statement rug brings scale, color, texture, and personality to each space. 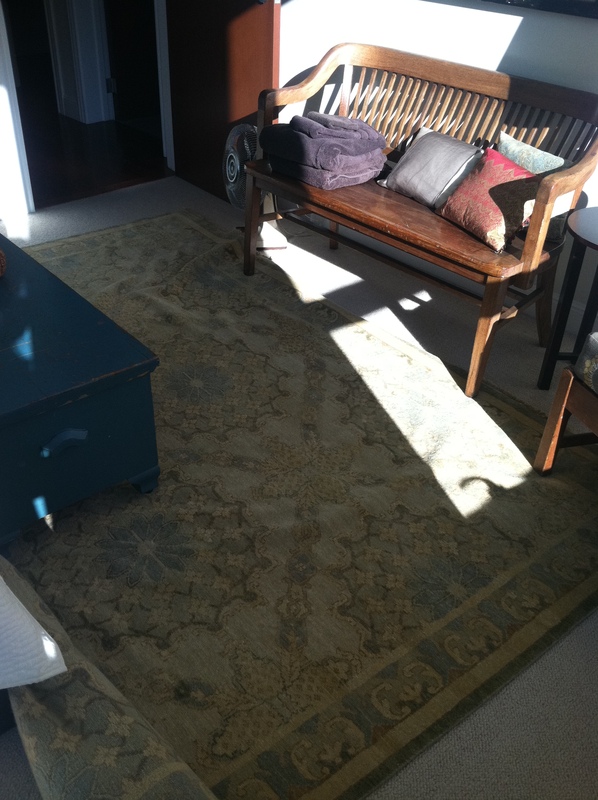 We helped our client find the perfect rug for her dining room a year ago and she is so in love with it, she decided it needed some fabulous companions to update the rest of the rooms in her home. 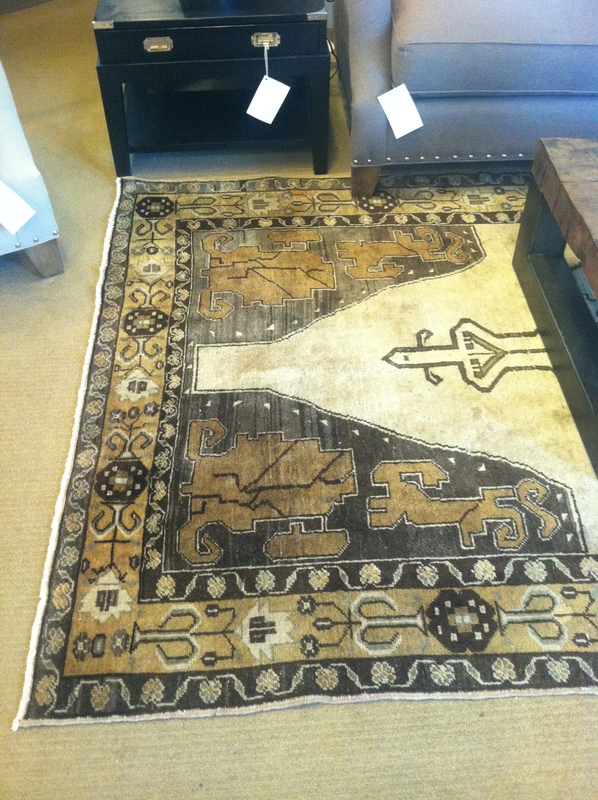 Our shopping list: rugs for the entry hallway, guest bedroom, office, and living room. 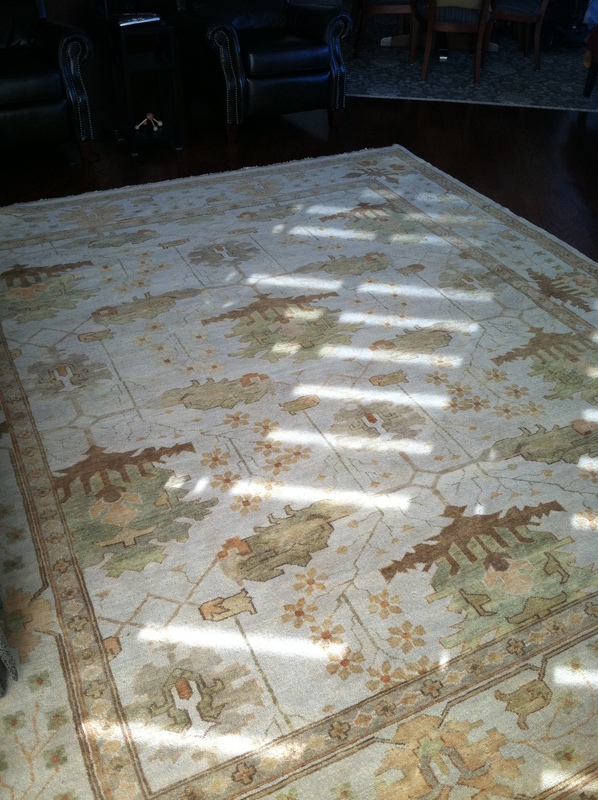 The starting point is the Dining Room rug that has been our clients love for the last year! 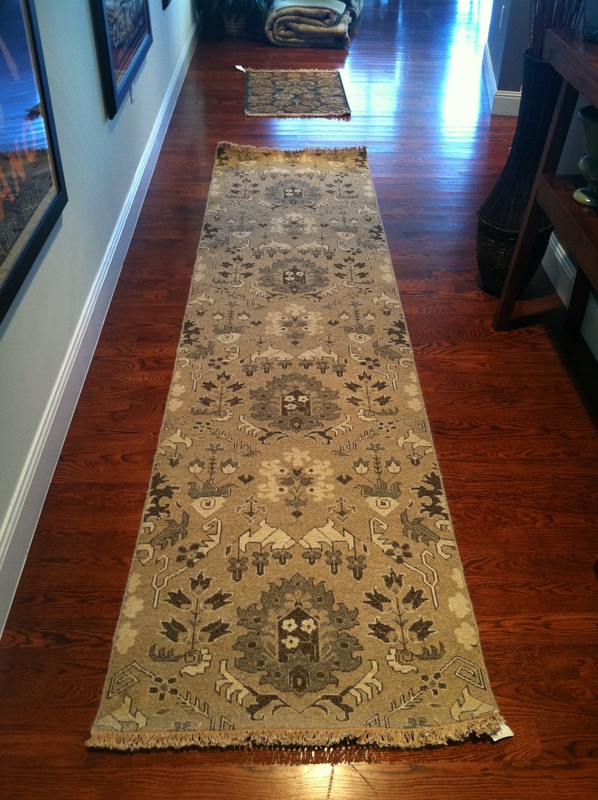 Our client fell in love with the entry runner option; it’s from the same collection as her dining rug. 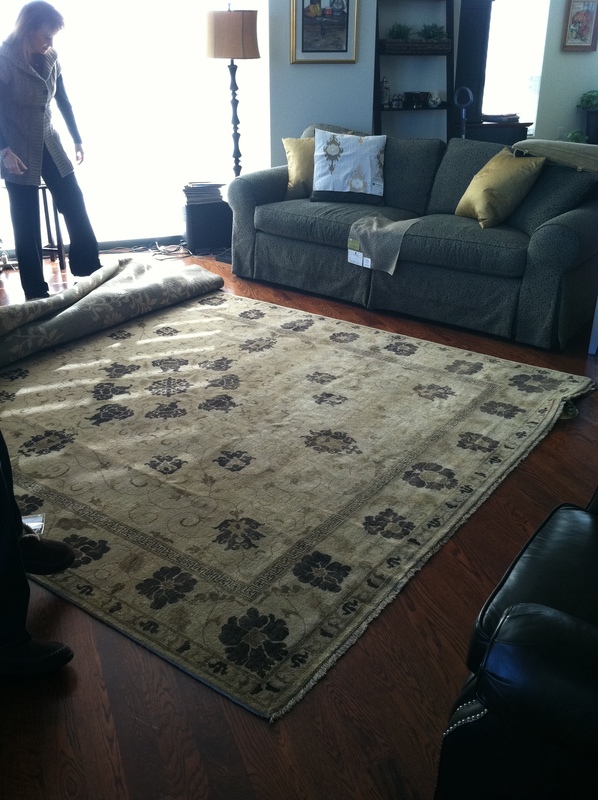 We’re custom sizing the runner so it provides the appropriate scale for the space. 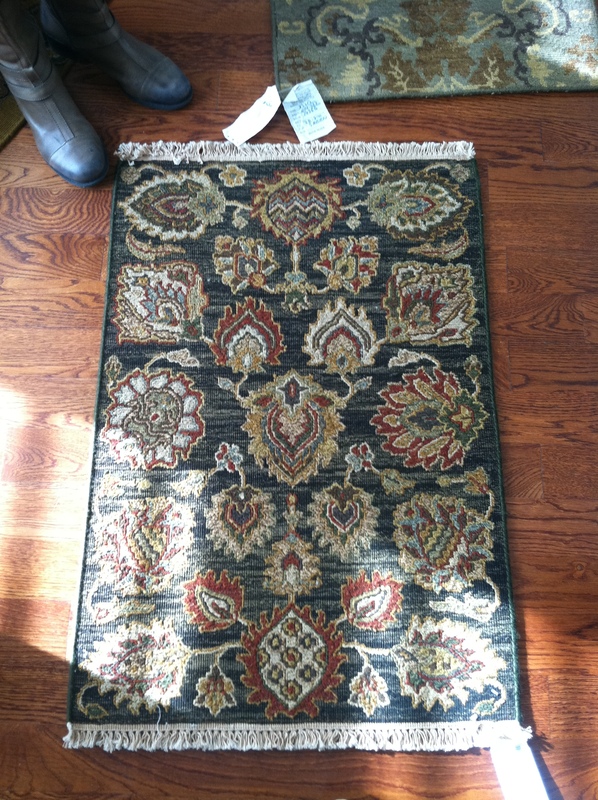 This is a Soumak custom gallery flat weave runner. 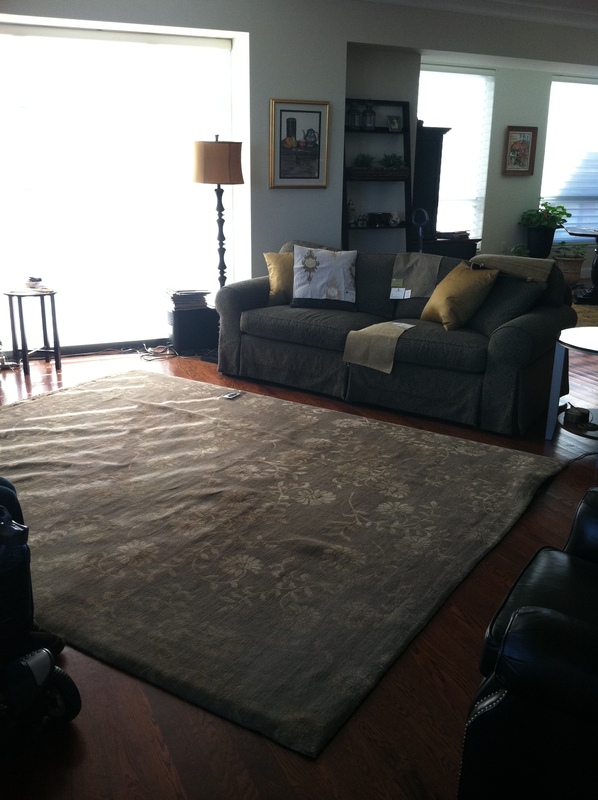 Due to the open floor plan in our client’s home, the rug used in the office will depend upon which rug she selects for her living room. 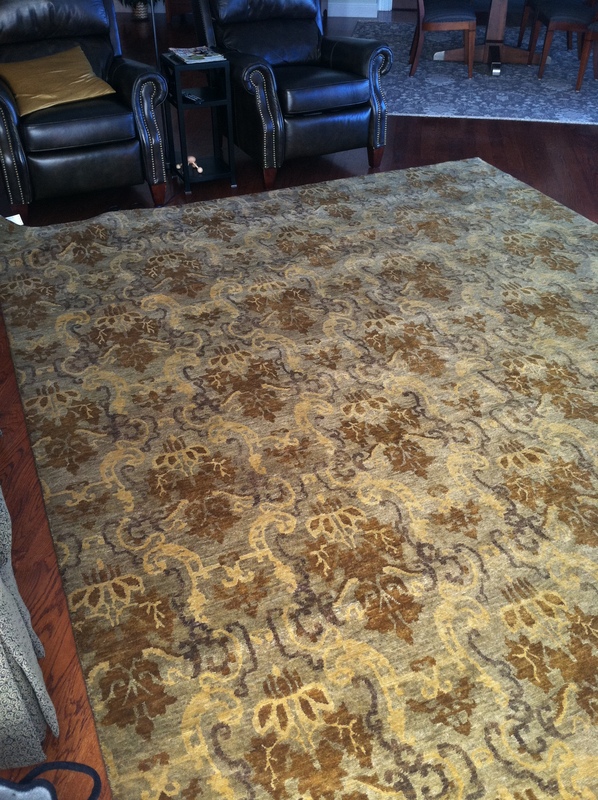 Option 2 – High End Wool carpet serged to create rug. 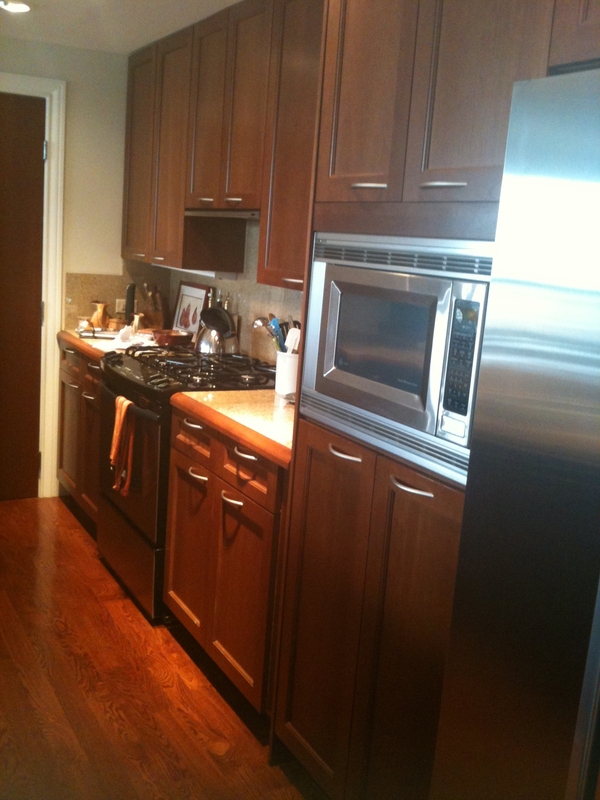 This was “love at first site” for our client. 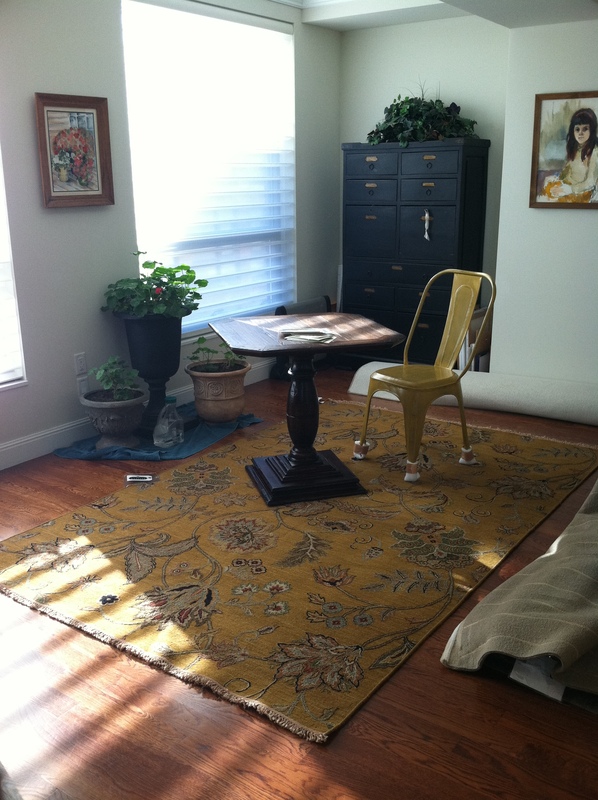 The rug was a perfect addition to the room…no other options were necessary! 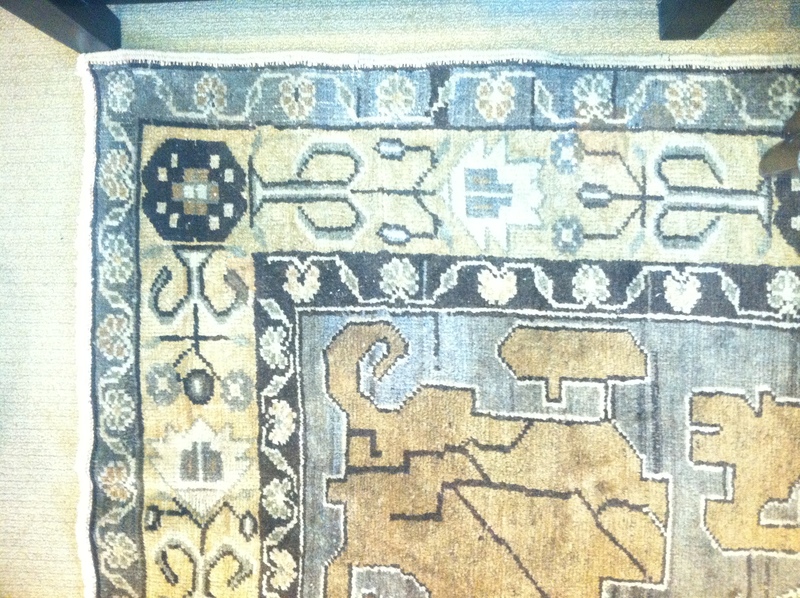 This is a Lotto 9×12 Wool & Silk Rug. 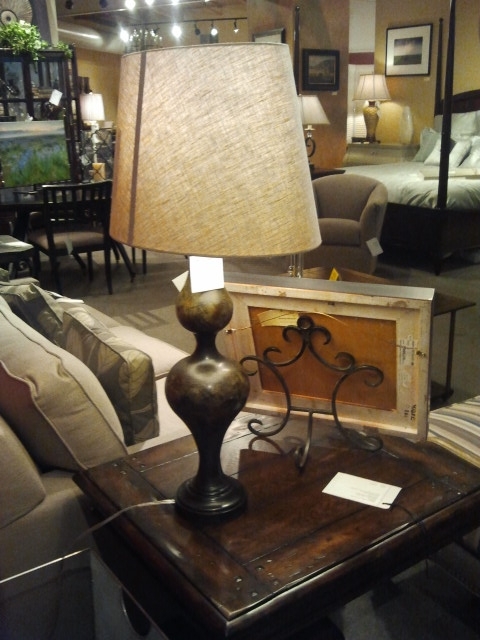 Ready for the final selections for the Living Room and Office?………. 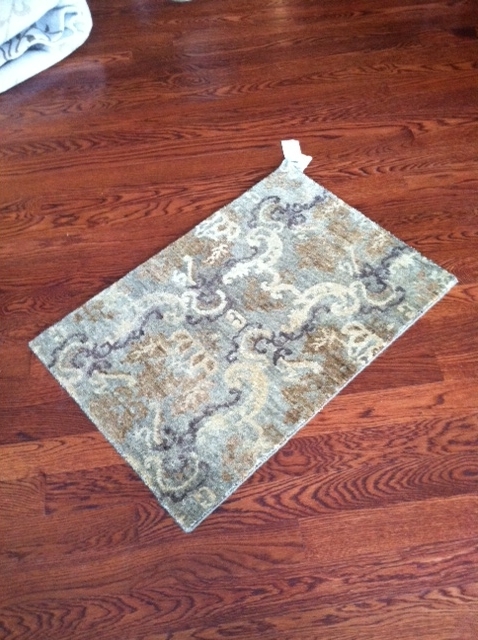 The rich colors in the final rug for the Living Room play off the warm tones in the kitchen cabinetry. The motif has a traditional element but the lines are cleaned up giving it a more transitional feel which blends beautifully with the other furnishings in the home. 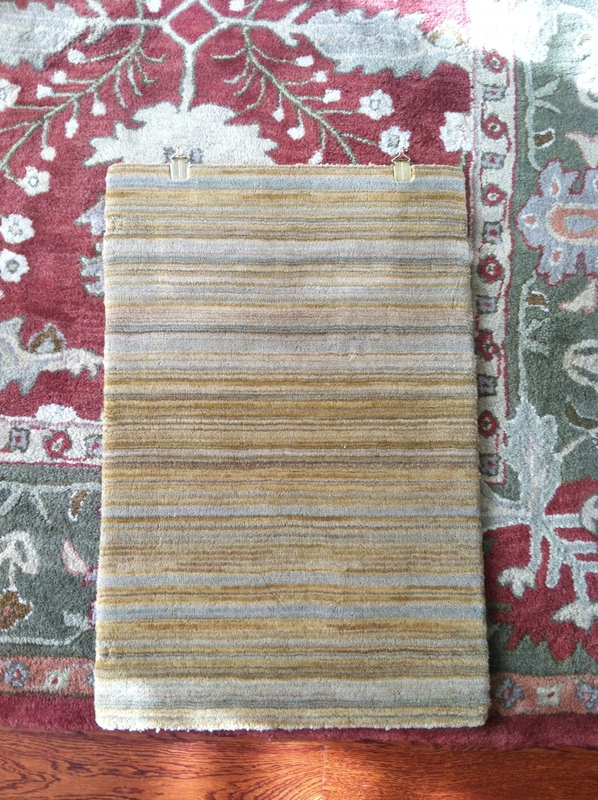 A more playful feel was desired in the Office and after much deliberation, the flowing striped rug won the race. 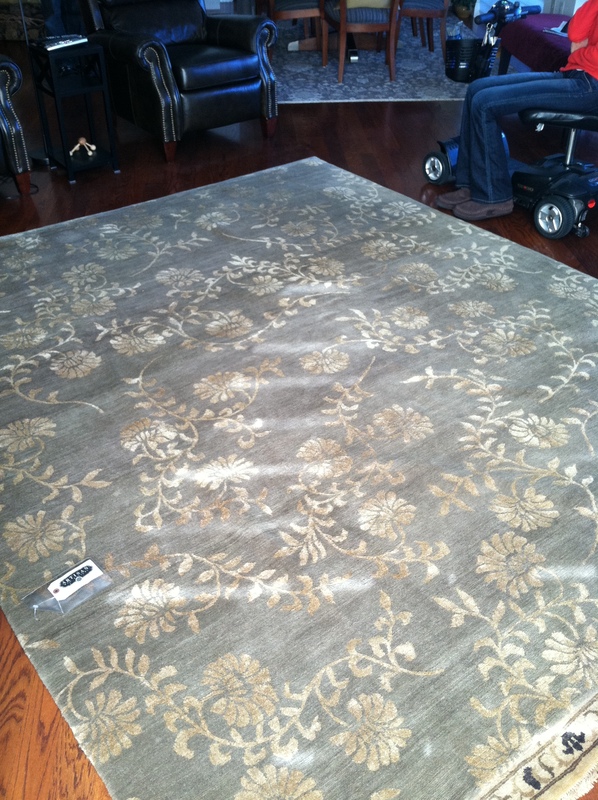 This rug incorporates the gold tones from the Living Room which will be accented beautifully by the niche’s that will be painted a Historic Yellow complimented by custom white lacquered built-in shelving. 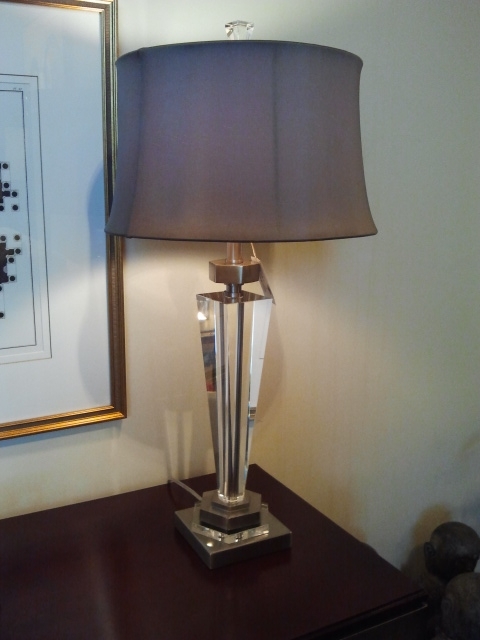 Stay tuned to see the Office and Living Room take transformation with additional, fabulous additions ………. 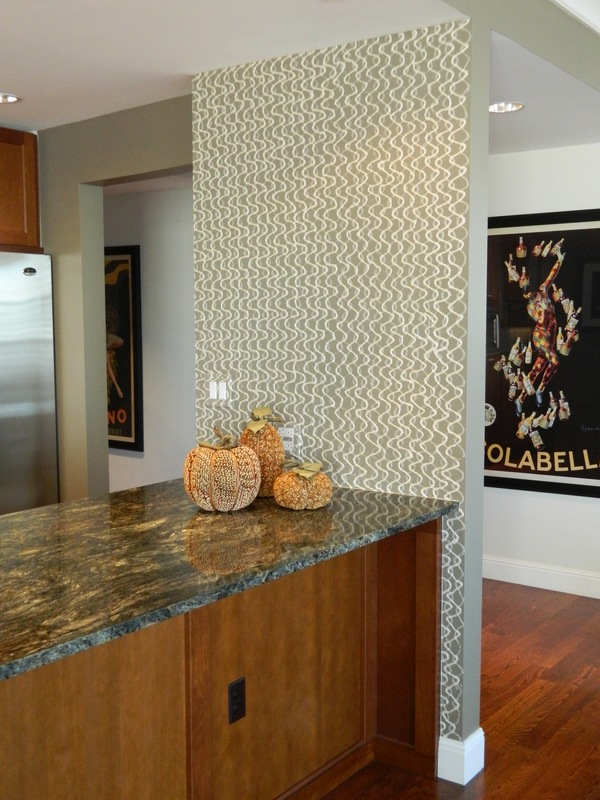 Fashion and Interior Design go hand-in-hand. When trend-setting fashion houses, such as Oscar de la Renta, Yves Saint Laurent, Gucci, or Marc Jacobs, reveal their collections during fashion week, you can bet some of those design elements start showing up at High Point the following season. Whether it’s color, texture, pattern, or structure, interior design and it’s furnishings are drawing inspiration from catwalks and red carpets to the magazines of Vogue. A touch of Hollywood glamour and glitz creates the right amount of drama for this modern bathroom. The feminine curves on the sofa and cocktail table exude a warm and welcoming feeling in this elegant living room. 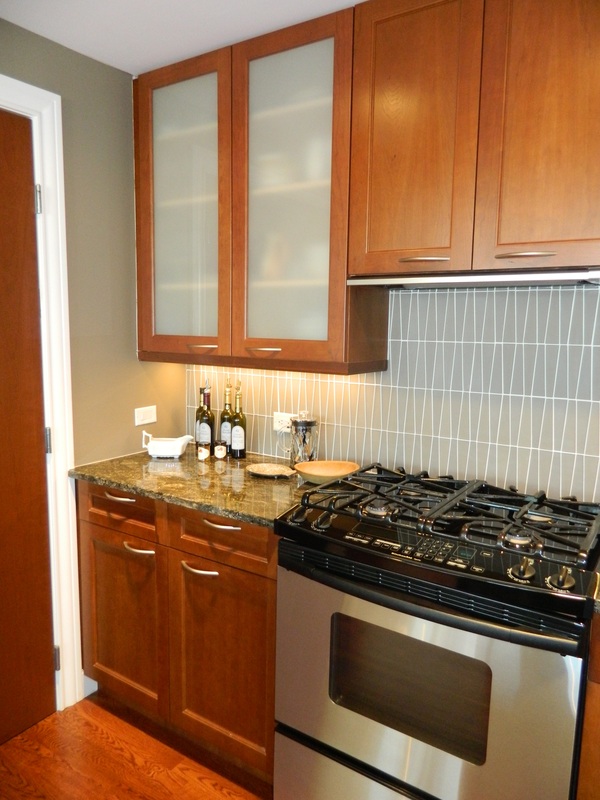 A monochromatic color scheme is the epitome of timeless sophistication. Pile on the color, pattern and texture and you have yourself a globetrotter-infused retreat. 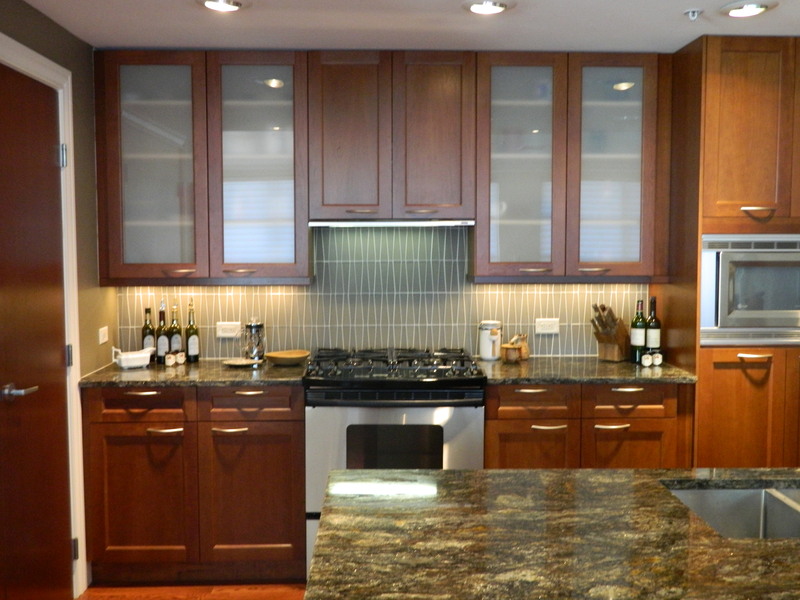 A neutral color scheme and sleek finishes provide the ideal environment for sipping a dirty martini in style. A bedroom fit for English royalty! The black leather studded side table evokes an edgy sensuality vibe in this posh bedroom. The contemporary black and white fabric on the Louis XVI arm chair unites the two-tone color scheme in this living room. 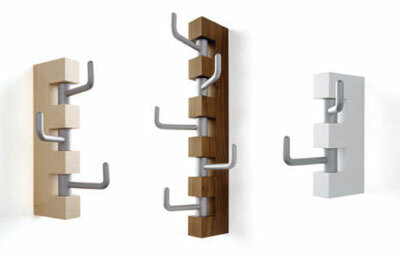 The boring old coat hook is a thing of the past. 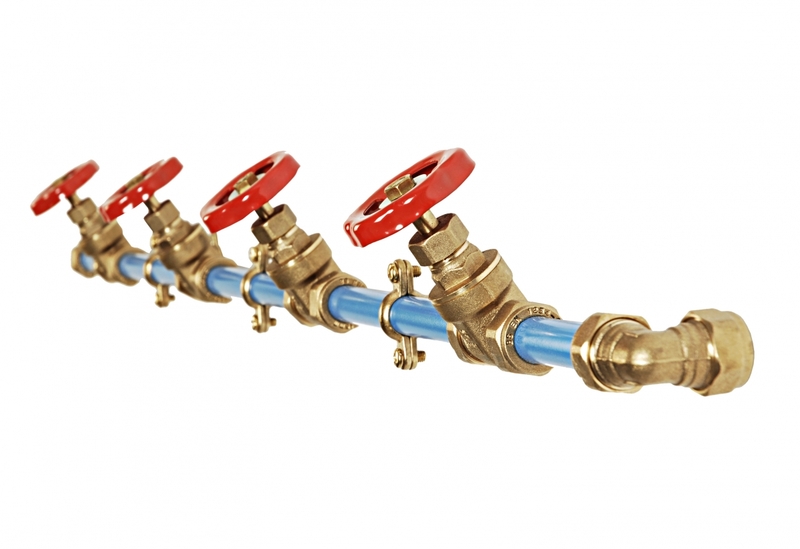 There is wonderful, creative hardware available to spruce up any entry and add a little interest and conversation to the foyer. 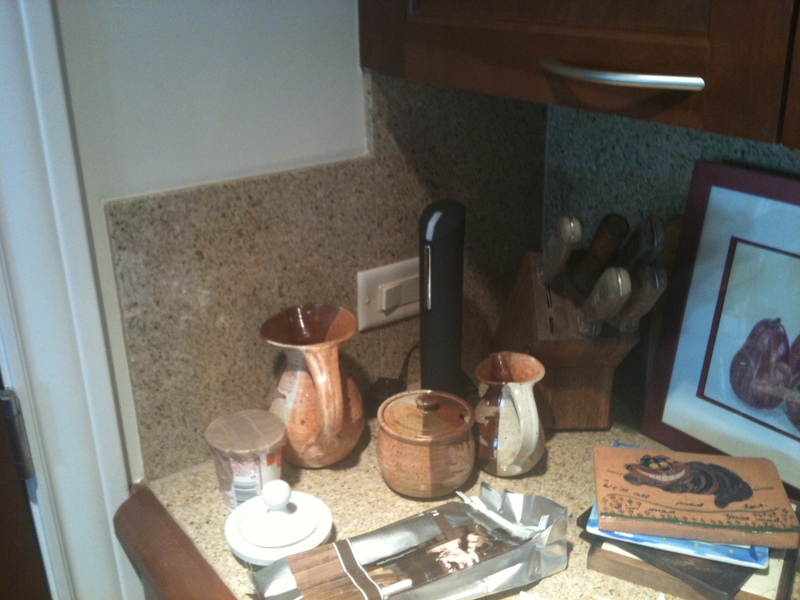 Unexpected objects and figures add a playful element to the function of ordinary hardware. Simple pegs, thoughtfully placed, create an interesting composition when life’s necessities are hung neatly. 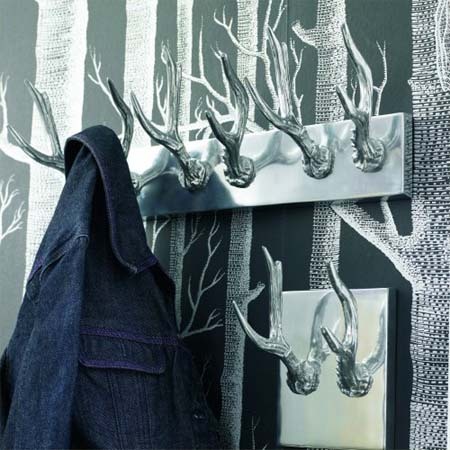 Mix it up a little…these metal deer antler coat hooks bring life and adventure to this entryway! A coat rack allows for easy access to everyday hats and jackets. 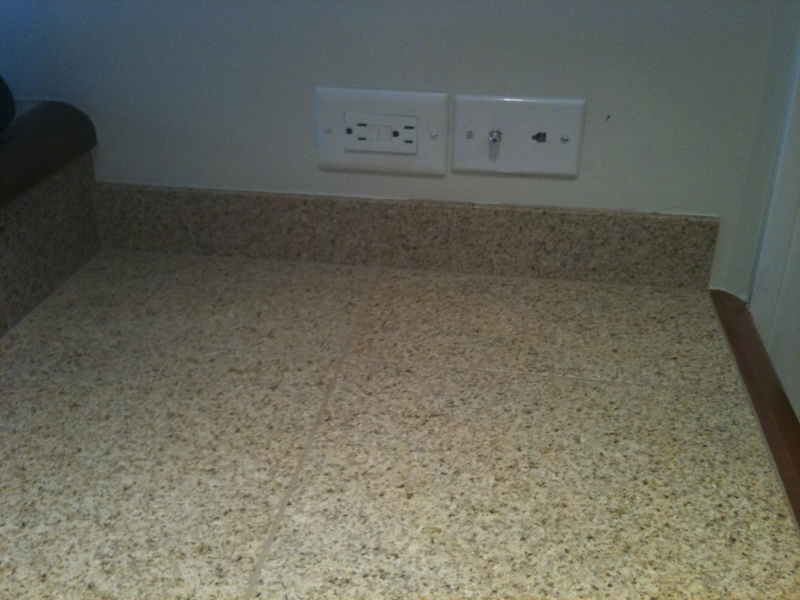 Maximizing space is a challenge many of us face. 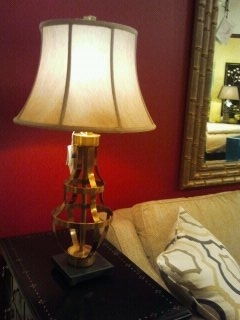 These multi-hook fixtures are fabulous for an entryway or a closet! 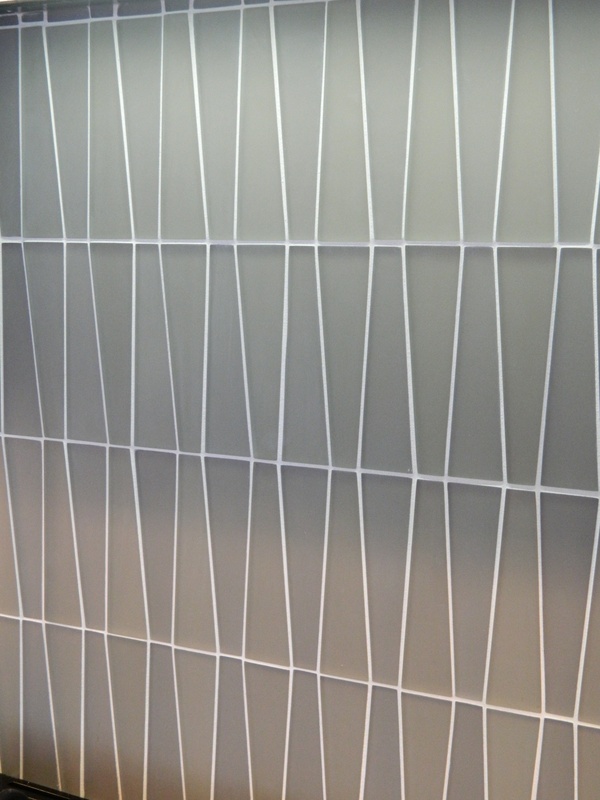 Integrating a rack for light-weight objects into the trim is an artistic answer for this narrow entryway. Think outside the box…simple objects from a hardware store can even become an elegant way to welcome your guests with a place to hang their hat. 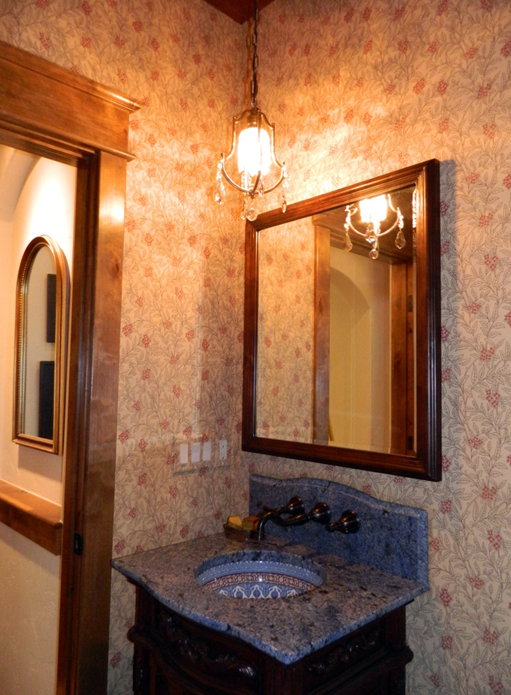 The powder room should be something your guests remember. 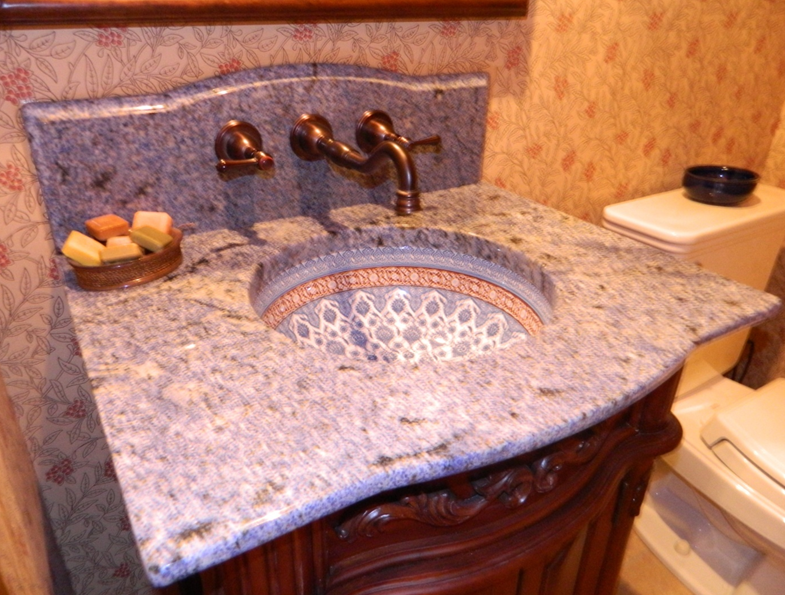 This powder room originally had beige walls and a metal grape vine pedestal sink that was out of scale for the room. 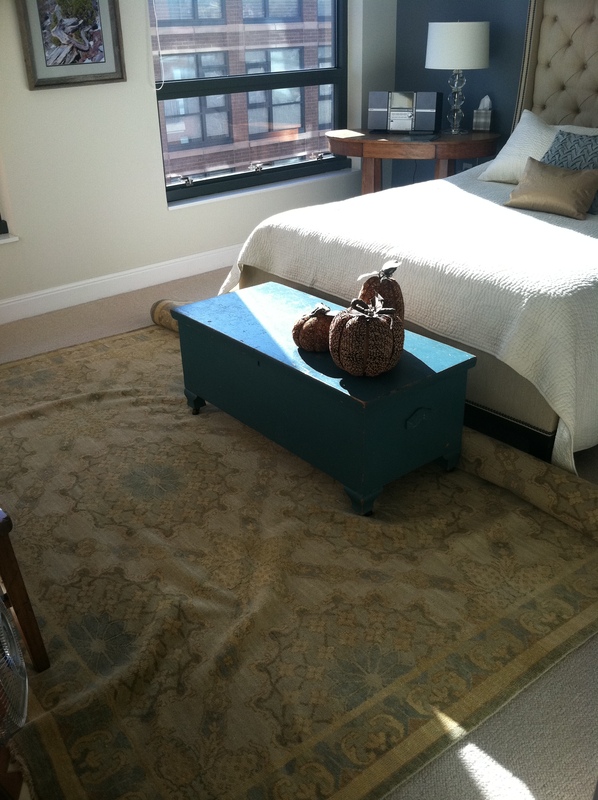 The client wanted a room with a little excitement and richness. 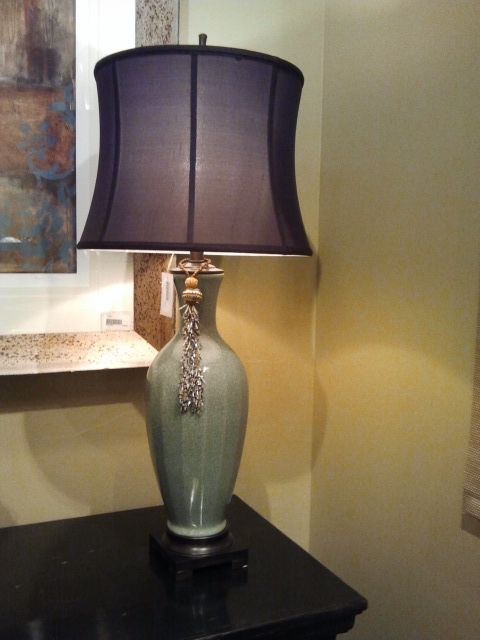 She has a love for blues and reds which is carried throughout the home. We played with wallpaper on both the walls and ceiling. 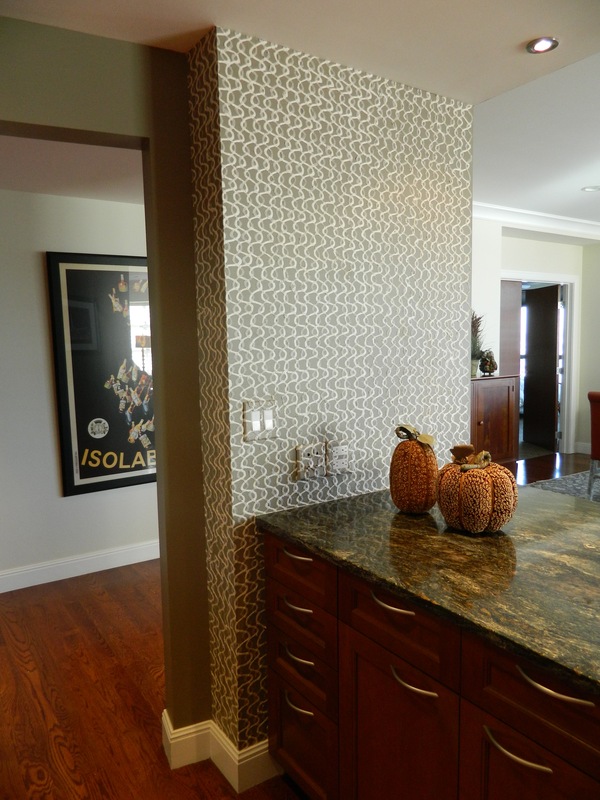 The walls have a subtle organic pattern with pops of red flowers. 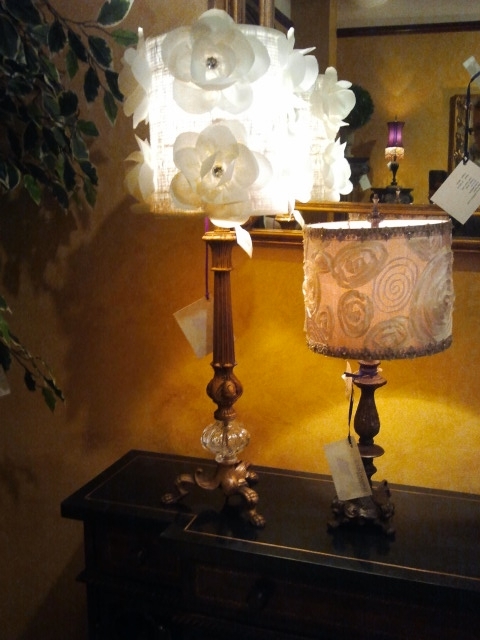 We contrasted the ceiling with a wine colored heavy textured grass cloth. 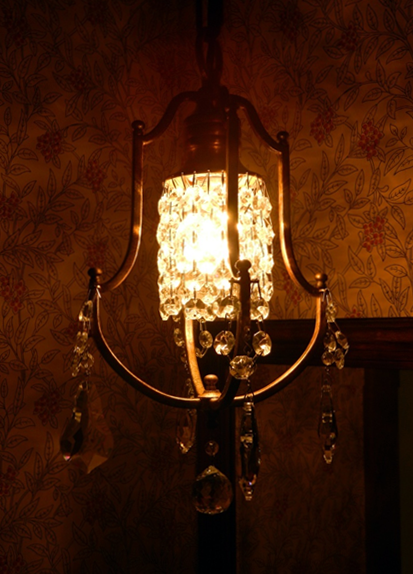 This room needed a little jewelry and this small crystal chandelier accomplishes this beautifully. 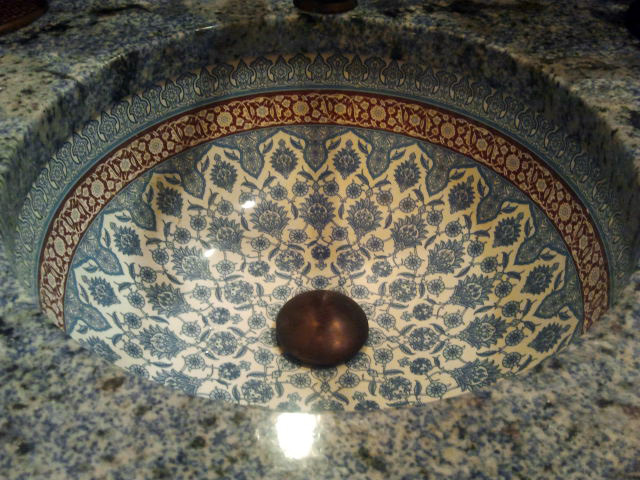 We brought in a beautiful blue granite and accented it with a Marrakesh style painted sink. 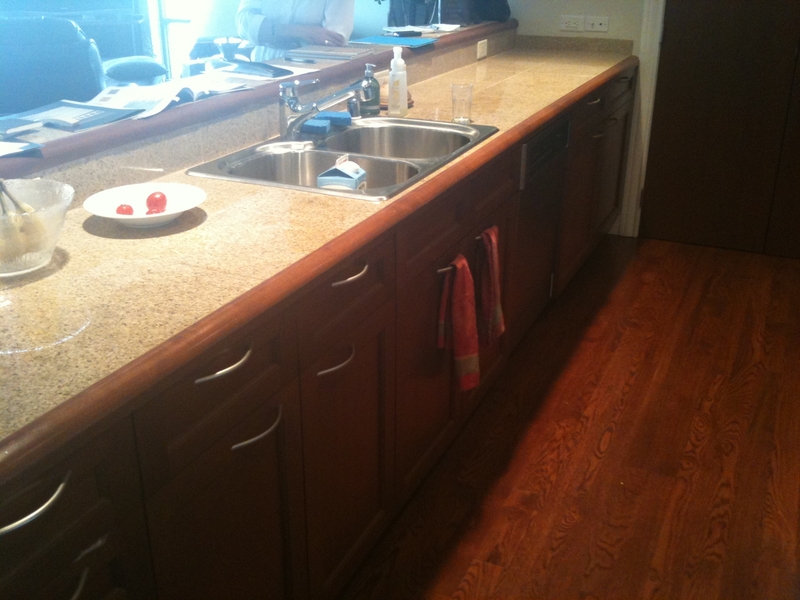 The rich oil rubbed bronze tones of the faucet are complimented by the rich mahogany vanity.